I was a little surprised to find a Squidoo lens focused on an Optimist Club. I don't know why it surprised me; after all, Squidoo is the platform that lets you "Publish gorgeous web pages about all your favorite things." Optimist Clubs certainly fit that description for me! The Optimist Club in the spotlight this time is the Optimist Club of Rock Hill, South Carolina. They started the lens back in 2009 and although it hasn't been updated frequently, it has enough information about what they do in the community to attract attention. In fact, one of the comments from a reader is: "I didn't know what the Optimist Club was, but now I do." The page starts out with a simple statement, "The Optimists of Rock Hill Need You!" The author describes how you can make a difference in the lives of children through your involvement with the Optimist Club. They also give a glimpse of how you can make a difference in your own life with the Optimist Creed. Written by Christian Larson, the Optimist Creed is ten simple tenets to remind you to think, live and expect positive outcomes in your life. One of my favorite parts of their small lens was a program that I believe is unique to their club: The Junior Optimist Art Club. This is the ninth art club started in the Rock Hills schools and it is made up of kindergarten and first grade students. An after school art club serves kids through fifth grade. One of their service projects is to provide artwork to nursing homes. I always enjoy a quick tour of a random Optimist Club. Don't you? If you are familiar with the two most popular programs offered by Optimist International, you can probably translate the captions that go with the pictures that I found at the Optimist Club of Maubeuge, France. For those not familiar, I've used Google Translate to do that for you. 3 chèques de 3350 euros ont été remis le 14 décembre aux associations: Choisir l'espoir, Les clowns de l'espoir et les Blouses roses. Cancer knows no geographical boundaries. Helping children live up to their potential should know no boundary. Wherever you live, I hope that you consider providing inspiration to others through an Optimist Club. Find one near you and volunteer today. This video was taped at a neuroscience conference and I'm sure that some scientific, evidence-based outcomes were shared from this experiment or others like it. Even if you have seen it before, go ahead, take three minutes and watch Bobby McFerrin lead an audience made up of scientists in song. I think this demonstration is awesome on several levels, but for the purpose of this blog, I want to talk about how it it might explain membership in service clubs. The rhythm: McFerrin explains, very quickly at the end of the clip, that everyone knows the pentatonic scale. When someone is leading the group, we are able to anticipate and respond in a unified voice, in rhythm with one another. It doesn't matter if the leader jumps to the left or the right, the largest segment of the audience can follow along when the tune stays in a comfortable range of their voice. When it jumps very far up or down the scale, some of the audience is lost; they can't, or just don't want to, hit those notes. The solo: Mid-way through, McFerrin adds a little melody. The audience continues with the rhythm as the unexpected melody enhances the sound. The soloist is able to accomplish more because the group has the knowledge to carry on with limited guidance from the leader. My question: What would happen if everyone in the chorus decided to sing their own solo instead? For twenty-five years or more, some have worried that service clubs may become extinct, and it is true that membership losses in traditional service clubs such as Optimist, Kiwanis, Rotary and Lions have outpaced membership gains. I believe that this has happened because of the solo affect. It is fun to be the visionary, to bring a new idea to fruition and feel the success of a personal mission. Students are now encouraged from a young age to be entrepreneurs, and to not be afraid to set off on their own. However, when individuals begin to leave the chorus and sing different melodies, we risk losing very foundation that makes it possible for them to try. This is no different for traditional service clubs. Service clubs are part of the foundation of our culture of caring. Service clubs bring people together on a local level to solve problems that exist close to home and in return, they offer fellowship to their members. Fellowship is a unique blend of respect and friendship. It is the rhythm of life. If fellowship is the rhythm of life, then traditional service clubs are the chorus. If you want to be a better soloist, join the chorus; they will help your voice be heard wider, louder and clearer. When your solo ends, there is satisfaction knowing that you were part of the chorus first, and always will be. Thanks to Robbin at Brains on Fire for inspiring this post. 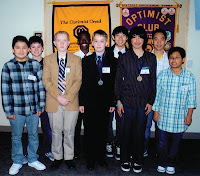 Many thanks to the Optimist Club of Rancho Cordova, CA for sharing pictures of the students participating the Club Oratorical Contest. As part of the Pacific Central District, they host a separate contest for boys and girls. First place winners Victor Wilson and Sophia Fields, both of Mills Middle School, will advance to the District Finals on May 1. 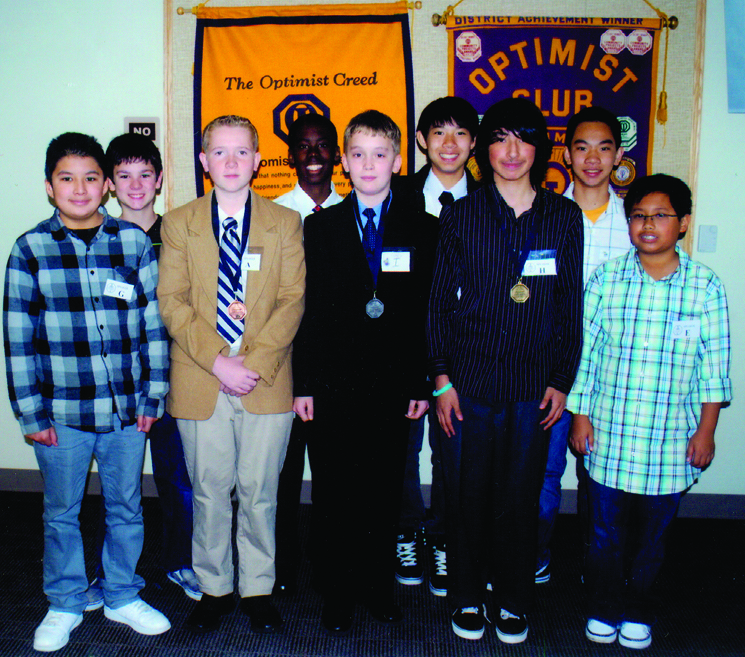 In Idaho, the Eagle Optimist Club hosted their first-ever Club Oratorical Contest. Eleven students competed in the coed competition. Chas Baines, Junior, and Courtney Stennett, Senior, of ArtsWest School for the Visual and Performing Arts took first and second place honors respectively and will advance to the next level of competition. Shown with them in the picture is third place finisher Allison Smith, also a Junior at ArtsWest and their instructor Brendan Earle. Thanks to the Eagle Optimist Club for the picture. First conducted in 1928, the Oratorical Contest is the second most popular Optimist International program. Nearly 2,000 Optimist Clubs participate in this program each year. We love pictures! Please send pictures from your Optimist Club Oratorical Contest to be included in our album. Thanks. "This is what we as Optimists do"
“We support kids in the community, and this is one of the things that we as Optimists do,” said Todd Winkel, Member, Brandon Valley Optimist Club. In this instance, the Optimist Club was donating $905 to help defray the costs of school lunches throughout the school district. It is done nearly anonymously as the school food services director watches for students whose school lunch funds are running low and then supplements their accounts to be sure those children do not go hungry. The Brandon Valley Optimist Club raised the money through the Annual Wild Game Feed. The wild game was donated from hunters in the community and included pheasant, geese, duck, caribou, elk and venison. About 250 people attended the event. Formed in 2008, the Brandon Valley Optimist Club is located in Brandon, SD. They are known in the community for hosting unusual fundraising events. One of the fun activities occurred soon after the club was organized: Plunger Bowl 2009. Take a look at the fun. Plunger Bowl 2009 from BIG John Small on Vimeo. I took my time reading Enchantment: The Art of Changing Hearts, Minds and Actions by Guy Kawasaki; and then I took even a little longer to write my review. The reason for my delay is what I have found most enchanting about the experience has been reading Kawasaki's updates on Facebook where he has epitomized the very art of influence; the very art of enchantment. There is nothing new about writing a how-to book on how to influence people. There is, however, value in writing a book that helps the reader transform into a person who influences others. We learn best when we see leaders doing what they say we should do, and that has been my greatest joy of reading Enchantment. Smile and mean it. Boom ... there is a picture of Kawasaki grinning with crow's feet. Dress for a tie. Boom ... there is a picture of Kawasaki at the Cemetery, Cremation & Funeral Association's Meeting, appropriately attired for his audience. Make it personal. Boom ... there are snippets and stories on his blog, on Facebook and Twitter of how Kawasaki uses his advice to manage his life. Build an ecosystem. Boom ... there is Kawasaki at SXSW with his literal and figurative team. Diversify the team. Boom ... did you know there were 260 people involved in designing the cover of the book alone? Some are saying that Enchantment is the 21st century replacement for Dale Carnegie's How to Win Friends and Influence People. Perhaps, but I rather think it is more of a blueprint for honest engagement with others in a world replete with networked relationships that are both enhanced and strained by technology. In this ever-evolving medium, guided by interactive rules and often abridged discussion, we have to be reminded always to take a positive approach. Kawasaki effectively demonstrates something highly valued by Experience Optimism readers; a positive, optimistic approach to business and life is not only enchanting, it is the best path to follow. 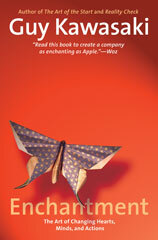 Read Enchantment: The Art of Changing Hearts, Minds, and Actions and follow the blueprint. You will discover that you can be positively enchanting – and more successful – too. You can buy Enchantment from your local bookseller or online through a choice of online retailers. Walt Disney said, "It's kind of fun to do the impossible." I'm sure the Jamaican bobsled team thought exactly that when they made their way to the Olympics in 1988; and they have gone to every Olympics since that time to compete in a sport oddly aligned with their Caribbean island lifestyle. The movie Cool Runnings, distributed by none other than Walt Disney Pictures, tells the story of how Jamaica came to have a bobsled team. It is a feel-good story of unlikely heroes doing what some might think impossible. One of the songs featured in the Cool Runnings soundtrack is "I Can See Clearly Now." It is my pick for Music Sunday because it is a song of inspiration for optimists and others who need a little extra push to get over whatever obstacle that seems impossible to overcome today. Please enjoy the Cool Runnings movie clip version of "I Can See Clearly Now," performed by Jimmy Cliff. Or savor the original version of "I Can See Clearly Now" performed by Johnny Nash, circa 1973. It is one of my favorite times of the year, optimistically speaking. Optimist Clubs around the world are engaged in the Optimist International Oratorical Contest and the Optimist International Communications Contest for the Deaf and Hard of Hearing. This is the time of year that Optimist Club members sit back and hear what is on the minds of students. Using a central theme, students talk about what has influenced them and what they want to do or see in the future. The topic this year is "If I Were the Leader of the Free World, the First Issue I Would Address Would Be..."
I have a feeling that we will hear a lot about current events and foreign policy this year; but I've been wrong before, and that is what makes the contest so special. Adults really cannot predict what the children are going to say. 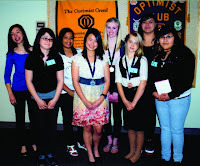 Participants in the Optimist International scholarship programs must begin their entry with a local Optimist Club. Winners advance through zone and regional competition to reach the District level where a $2,500 scholarship is awarded for first place in combined (female/male) competitions and $1,500 if separated. It's not too late to find an Optimist Club near you. 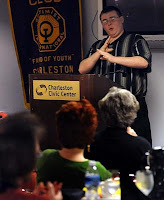 Read the instructions for the Optimist International Oratorical Contest and Optimist International Communications Contest for the Deaf and Hard of Hearing and get involved. Students must be under age 19 as of December, 31, 2010. On St. Patrick's Day, most everyone, in the United States at least, finds a way to be a little bit Irish. Whether it is wearing green, wishing good luck, listening to Celtic music, talking about leprechauns or drinking green beer, we celebrate the day with playfulness. I've always thought, and mentioned before, that we should promote an International Day of Optimism. If I were Optimist International, that would be one of my top priorities. Consider the opportunity to spread joy and positive thinking to the world. Consider the opportunity to reach out to people of all ages and skills with a message of hope. Consider the opportunity to do something organized and very different from other service clubs as a primary focus of the organization. Optimist International is a service organization made up of adult women and men who work together in Optimist Clubs to perform projects that make a difference in their local communities. There is a special emphasis on programs that recognize, involve or benefit children. Approximately ten years ago, Optimist International decided they needed a focus program that resonated with the general public and the organization put together the Childhood Cancer Campaign. A bond was formed with Johns Hopkins University and Optimist Clubs were asked to help fund research to eradicate childhood cancer. The program, well intentioned and well loved by some, was not carried out equally throughout the organization. Some clubs raised money and sent it in to be distributed through the campaign. Others collected money and donated it to local cancer funds and some even combined into district teams and distributed money to regional organizations to help children and families with the burdens that a cancer diagnosis gives to a family. All good pursuits, but did they really fit the mission of being "focused?" More likely, they were doing what Optimist Clubs do best: supporting a local cause that was brought to their attention. The Optimist International Board of Directors met earlier this month and the questions emerged again. Should we have a focus program? If so, what should it be? Some, including myself, were quick to reply that we could move away from the cancer mission. I do not believe that Optimist Clubs will ever give up on meeting the needs of children in their local communities; just as an organization we can use our collective influence to bring attention to another cause. What would an international program to increase optimism look like? Please share your thoughts here. I will follow up with my thoughts in another post; I promise. *A line from The Optimist Creed by Christian D. Larson. At the last meeting of the Maryland South Delaware District - Optimist International, the Optimist Club of Mechanicsville, Maryland received multiple awards. First, they were recognized for earning the Honor Club status, a recognition that signifies the club is doing everything right to ensure the continuity of the organization. Next they received membership growth honors for adding nine new members and raising their club roster above 75 members. Member Kim Rye received a special pin from Immediate Past International President Mark Shriver as a thank you for sponsoring five new members. And finally, and most deservedly, the club was honored for having the best newsletter in the district. I haven't seen the other newsletters, but I have seen theirs and I think it is great! 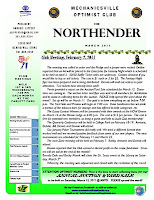 Please take a look at the March 2011 edition of The Northender, the official publication of the Mechanicsville Optimist Club. The newsletter is eight pages full of activities that indicate to me this club is a fundraising machine. In March, they are hosting a live and silent auction, a yard sale and a Texas Hold 'em Tournament. On April 2, they are hosting a Fantasy Night dinner and dance. They have raffle tickets for sale and share in ongoing fundraising with the McKays Community Rewards Program and a rebate to the club for Sandals Resort. And guess what? In between all of that fundraising, they are hosting the Optimist International Essay Contest and a NOW (New Optimists Welcome) recruitment dinner; and they are planning a number of community service projects that include rehabbing a house for the Christmas in April program, a Halloween activity and Shop with a Cop at Christmas. Congratulations to the Mechanicsville Optimist Club for your honors. Thank you for all you do to make your Optimist Club a vibrant, vital part of your community. One can't help but think about the devastation in Japan today although it doesn't seem to be getting as much attention as the earthquake in Haiti did only a little over one year ago. Perhaps that is only my perception. At any rate, it is in this type of crisis we need to remember that we can call on one another for help and support, no matter our circumstance or standing in life. I've chosen two versions of the same song today for Music Sunday. The original 'Lean on Me' with the fabulous Mr. Bill Withers. Timeless and moving. But I also wanted to send a message of hope and I think the cast of Glee does that so well, with the same song. My wish today is for hope, optimism and faith in the kindness of our world. Disaster. When the 8.9 earthquake rumbled through the islands that make up Japan two days ago, it created a tsunami that reached all the way to Hawaii, California, Oregon and Washington, USA. Of course the immediate threat waned as the magnitude of the wave subsided, but it was still an eye-opening experience for all. We live in a global society. That is well-proved through social media as we connect quickly with stories from around the world. However, no matter how well we network or raise money and awareness for causes, geological forces and weather remain outside our grasp. We would do well to remember that as we plan for our future. But today, that just doesn't matter. There are people, more than 9,000 from one small coastal town alone, who are missing. People must first be made secure. Then there will be infrastructure to rebuild, and lives to reconstruct. The US Air Force and Navy have been deployed to help Japan's own Self-Defense Forces; the Red Cross is at the ready, and Japan reports more than 70 specialist rescue teams have offered their services. What should nonprofits, service clubs and individuals do? If the last global relief effort taught us anything, I believe it taught us to wait for direction. And pray. 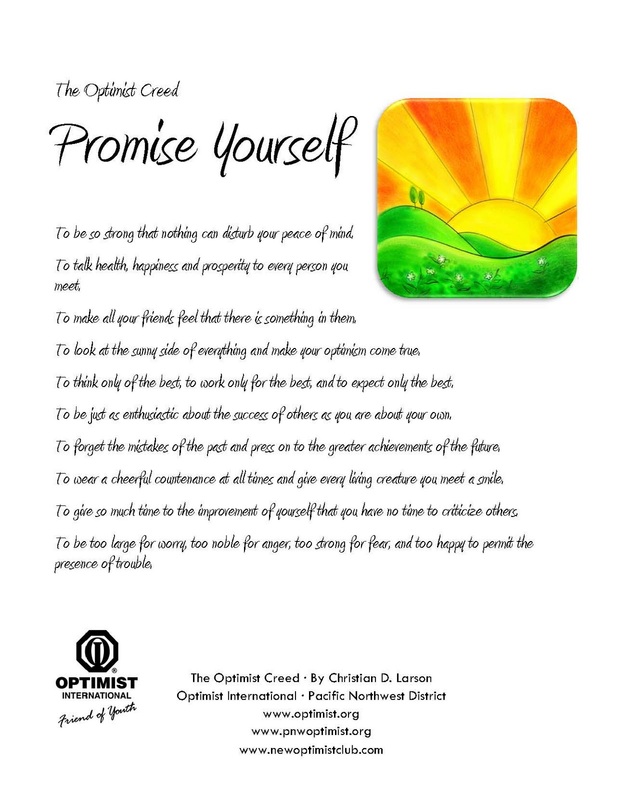 And perhaps share a positive message by reciting the Optimist Creed aloud. There is nothing wrong with sending a positive message to the world, to God, to others around us, and to the universe. It's true, positive thoughts help heal all wounds. 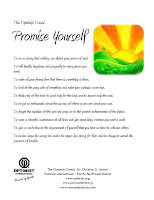 Download your copy of the Optimist Creed here. I admit, I had a twinge of schadenfreude when I read this headline, 'Kiwanis clubs clash over Bike-A-Thon.' But then I read the article and felt a little bit of envy for the friendly rivalry that the two service clubs in Albert Lea, Minnesota share. The long-time rivalry between the Noon Kiwanis Club and the Daybreak Kiwanis Club centers around an annual 100-mile bike ride to benefit the American Cancer Society. Every year, the presidents of the clubs make a friendly wager to recruit more riders to their teams, to garner more pledges and raise more money. As they visit each other in the weeks leading up to the ride, their enthusiasm and word of mouth marketing entices more people to be involved. The prize to the winning Kiwanis Club is ownership of a traveling trophy. The benefits to the community are huge. One of the greatest benefits of having active service clubs in a community is the organized group of volunteers they have at the ready for any community event. Of course some are more personal and members are more inclined to be involved, but in my experience, most service clubs will always try to do something when they are asked to help. Activities like the Bike-A-Thon are perfect because all they ask for is time. Members choose if and how they want to participate. It is a bonus when the cause is such that it spurs an instant rivalry. Everyone benefits from the participants, to the organizers, to the ultimate beneficiaries. If you are organizing an event, consider getting your local service clubs involved. You'll like the energy they bring to the table. If you live in the Albert Lea, Minnesota area, please join a Kiwanis Bike-A-Thon team or make a pledge. Contact Kent Erlandson at 507.383.1840 to learn more. The 2011 Freeborn County Bike-A-Thon will take place on May 8. Spring is in the air and Florida is getting ready for the craziness of Spring Break. At least that is one explanation for this strange look at upcoming events in Sanibel Captiva Island area. My favorite? March 15 of course. Reporter Art Stevens for CaptivaSanibel.com calls them "must do events." Haha! No matter where you live, why not give them a try? • March 12 – Sanibel welcomes the first of our spring break visitors. • March 13 – Sanibel police arrest the first round of spring break visitors. • March 15 – The Optimists Club will practice drinking from glasses that are half full and destroy any glasses that are half empty. • March 19 – Jacaranda Restaurant will extend its “Happy Hour” from 4 p.m. to 8 a.m. the following morning. • March 21 – The gentle yoga class normally scheduled at the Rec Center has been cancelled and is being replaced by a gentle mud wrestling class. • March 22 – The Shell Museum will exhibit its latest rare find: Jimmy Hoffa’s clavicle. • March 31 – The monthly Art Walk will feature the doodling of this year’s City Council members which will then be publicly psychoanalyzed by Sanibel’s own Dr. Sigmund Freud, IV, followed by a doodle debate to be broadcast over Twitter. • April 4 – The weight room at the Rec Center will be closed for one day. It was just too heavy. • April 5 – Local accounting firms will put on a seminar on the principles of successful tax evasion along with a legal defense fund back up plan. Check out the full list at Shell Shocked: A schedule of Sanibel's upcoming events that you won't want to miss. Today is International Women's Day (IWD). Not only is it International Women's Day, it is also the 100th anniversary of the day being recognized by women around the world for their activism. In fact the day has blossomed into a month-long celebration of women in history or as I have often seen it playfully written in March herstory. The International Women's Day website gives a wonderful timeline of what the day is all about noting that the day began as a movement to ensure equal rights for women in the increasingly industrialized society of New York, United States. It next spread to Copenhagen, Denmark and then on to Austria, Germany and Switzerland. Today it is recognized globally, in North and South America, Europe, Australia, Africa, the Middle East and Asia. Google has made it easy to visualize the involvement by mapping the IWD celebrations with virtual check-ins around the world. Optimist International is also celebrating its 100th anniversary this year and in that time there has been only one woman president. 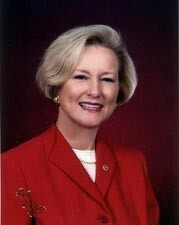 I thought this would be a good day to recognize her and say thank you for your service, leadership and Optimism. Thank you Ronnie Dunn for being the first and showing the way. Over the weekend, Optimist International experimented with live streaming of their Board of Directors meeting. By all accounts, this seems like a good idea. It provides transparency to all levels of the organization, serves as an educational tool so Optimist Clubs can learn to conduct better board meetings themselves and brings the organization into the 21st century with social media tools. I watched some of the 2-day broadcast along with as many as 200 other Optimist Club members around the world. Other than hearing the live announcement of the candidates for office for 2012-2013, it was about as interesting as watching dry paint. The dullness was not the fault of the participants, the staff, or the content being discussed; the problem was the inappropriateness of the medium. When one stops to consider that on the same day more than 1,000,000 people tuned in on a Saturday evening to watch Sheen's Korner and get a 45-minute glimpse of the train wreck that celebrity Charlie Sheen has become, it's easy to say when we log onto our computers outside of work, we want to be entertained. So what should Optimist International live stream that would be entertaining? I believe that Optimist International should broadcast things that make us feel proud to belong to an Optimist Club. As the umbrella organization of nearly 3,000 clubs consisting of 100,000 members, Optimist International should strive to be a better coordinator. Most members are not interested in micromanaging the administrative decisions that are made in order to run an organization effectively. They are, however, interested in getting the word out that they do good things in their community. I'm already publishing stories about the positive, worldwide impact of Optimist Clubs. I could use some help. Our clubs could use some help. Let's broadcast stories of local impact with local color, okay? I started Music Sunday on the Experience Optimism blog so my readers could feel good through music. Sometimes the music is enchanting. Sometimes it is haunting. Sometimes you want to listen and other times you want to sing along. We've heard some classical, jazz, pop and now rock. Björn Türoque to be exact. If you don't know about Björn Türoque, let me introduce you. He is the premier air-guitarist also known as Dan Crane who rocked the stage at TedxSF back in November 2009. That's way before I ever heard of him, but according to his website, he's been rocking an air guitar for fame and fortune since 2006, at least. His Tedx Talk explains how the art and skill of playing an air guitar can actually save the world. My favorite quote, "If you are holding an air guitar, you can't be holding a gun." Enjoy. Practice. Make a video that showcases your unique style and then please, share a link to your very own air guitar concert. Go ahead - I dare you! The young men in Boy Scout Troop 225 in Roseburg, Oregon have been busy campers. They meet weekly, are active in the community, perform community service projects, and learn life skills through overnight camping trips. They are also grateful to the local Optimist Club for helping them make a difference. Four young scouts visited the Roseburg Optimist Club on February 25 to share stories and appreciation with the Optimist Club, one of their major sponsors. Nash Edwards talked about how the troop uses the trailer that the Optimist Club purchased for them. Taylor Ferraro described some of their favorite community service projects. Christian Sifford detailed what happens in an average weekly meeting. Jacob Dundas gave a presentation on a recent overnight camping activity in the snow at Diamond Lake. The boys call this annual trek Klondike. Troop members visit the Optimist Club several times a year to give updates. According to one member, it's fun to hear from them personally and as a bonus, the visits allow the children to practice their presentation skills. Many Optimist Clubs sponsor Boy Scout Troops and often work side-by-side with them as troop leaders and mentors. Optimist International considers the scouting organization to be a community service resource and partner for teaching civic responsibility and good government to young people. Thanks to Beth Edwards for the picture. Optimist Clubs and their members are always looking for projects that will help children. One of the most special ways that I am familiar with is a program called Operation Bear Care performed by the Noon Optimist Club of Boise, Idaho. Operation Bear Care takes place once a year, yet serves the community year-round. 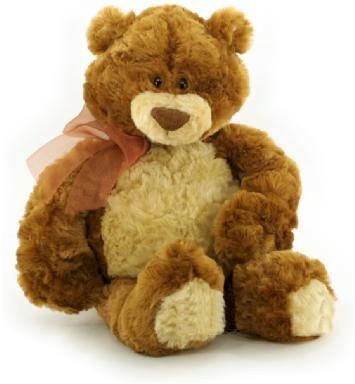 Through a one-evening event, the Optimist Club collects enough stuffed animals to fill the trunks of first responders so that when a policeman or fireman comes upon a traumatic event that involves a child, be it a fire, motor vehicle accident, or abusive situation, they have something huggable to give to the young victim. It is such an easy program to perform, and while the Boise Optimist Club can collect all they need in one day, it is totally scalable. Take a day, week or month, the key is to get the public involved by asking them to donate a clean, new, or even gently used, non-themed stuffed animal to the cause. The Boise Noon Optimist Club has very close relationship with Boise State University Athletics. Their Operation Bear Care actually takes place during a home basketball game and thousands of stuffed animals are collected. When it began approximately fifteen years ago, the fans would actually throw the animals to the center of the court at half-time, creating a mound of fluff to be collected by the club. With a little more respect for the heroic service that the bears provide, the donations are now collected as the fans enter the arena. They are boxed up and given to the police and fire departments throughout the valley. Over the years, as others have taken to collecting stuffed animals in their organizations, I have heard the Optimist Club consider letting the project go. However, the simplicity of the project, combined with the joy of giving something that will bring a smile to a child at a most difficult time, has made the project a club favorite. I predict the Boise Noon Optimist Club will be performing Operation Bear Care for many years to come. The Honda Classic tees off this week on the Champion Course at the PGA National Resort and Spa, Palm Beach Gardens, Florida. For player Jeff Overton, it's sort of like going home. You see, the PGA National is home to the Optimist International Junior Golf Championship, an event that Overton won ten years ago. Driving from his family's home in Evansville, Indiana to play in that year's event, Overton claimed the only junior golf tournament that he ever won. 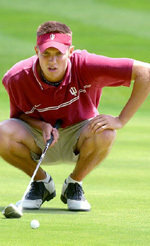 Overton went on to play for the University of Indiana before turning pro six seasons ago. According to some, Overton is the best player without a PGA Tour title. Optimist Club members around the world will be cheering on their champion this week to make a similar charge to victory as he did ten years ago. From Optimists everywhere - best of luck Jeff! The Optimist International Junior Golf Championships begins later this month as golfers under 18 years of age work through club and district play to qualify for the summer championship series. Junior golfers can also qualify for additional tournaments. Read more about the series at Optimist International Junior Golf.